Aside from being the economic and political center of French Polynesia, Tahiti is also a popular tourist destination with over a quarter million guests visiting each year. It is about a 9 hour flight from Los Angeles, 5 and a half to Auckland, New Zealand and about 12 hours from Tokyo just to give you an idea. There are 5 groups of islands that make up the French Polynesia and all have amazing snorkeling. Of the 118 islands only 67 are inhabited and the most populated is Tahiti. 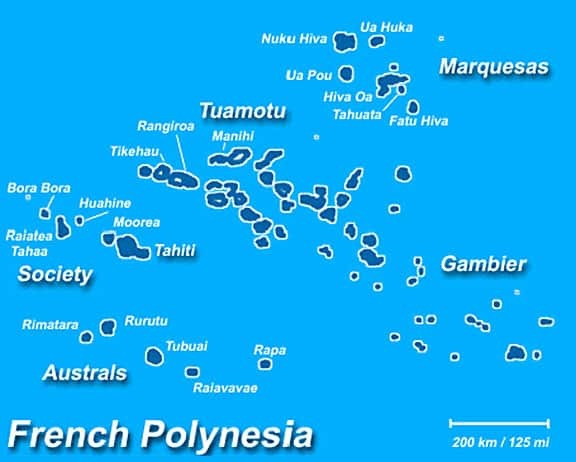 French is the primary language but the official language is the Tahitian Language (Reo Tahiti). Given its 118 island composition grouped into 5 archipelagos and covering an area of 1,044 square kilometers (403 square miles), Tahiti is a vast playground for the aqua sports enthusiast where snorkeling is a big hit courtesy from its long-list of snorkel sites. Without further ado, here is our guide to some of the best snorkeling in Tahiti. While Tahiti covers a relatively wide area out in the South Pacific Ocean, the weather of its 5 archipelagos, namely: Society, Tuamotu, Gambier, Marquesas, and Austral are influenced by its own local climate. However, in general, Tahiti has a tropical rainforest climate with 2 pronounced seasons. Summer runs from November to April where the temperature can reach 30OC (86OF) while winter runs from mid-April to mid-October and temperature can slightly drop up to 27OC (80OF). Many tourists said that they highly appreciate Tahiti’s 80OF winter temperature since, back home, freezing temperatures would restrict your vacation at home. You should avoid visiting Tahiti from December to January since the weather is not conducive for snorkeling. August to September are the best time to visit and go snorkeling in Tahiti. The waters are generally calm and clear. Visibility in most snorkeling sites can reach up to 30 meters (100 feet), and the temperature is pretty much comparable to the waters in a bathtub. However, you have to watch out for the sudden occurrence of trade winds which can temporarily disrupt the perfect tropical weather. Most of the snorkeling sites in Tahiti are situated near a beach that leads to a protected lagoon that often has crystal clear waters. These lagoons usually house a vibrant reef where its residents are coming from all sorts of sizes, ranging from the tiny shrimp, the graceful manta rays, sea turtles and fast swimming sharks, but not the aggressive ones. Environment friendly sunscreen is always a must regardless of the time of your visit to Tahiti. 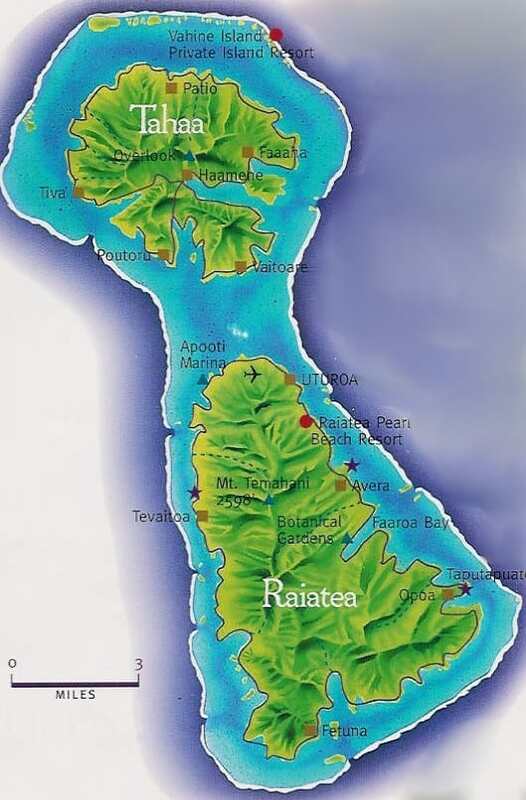 Among the 14 islands comprising the Society Archipelago, let us designate Tahiti Island as our primary reference point and for reasons that it is the location of the only international airport - Fa’aa International Airport located in the town of Papeete. While there are a few spots in Tahiti Island that you can go snorkeling, we suggest that you travel to the neighboring islands where there is excellent underwater action. Among the accommodations in Moorea island, there is one favorite Hotel that has a vibrant reef just right in front of it. Located along the La Ora Beach, your snorkeling adventures in Sofitel Moorea Reef will start by entering a shallow sandy area. As you start swimming, it will only take a few minutes to reach the reef where you can clearly identify the transition zone between the sandy bottom and the branching corals of the reef. You don’t need to go far just to see tropical fish as the first few meters are already filled with damselfish, sergeant majors and butterflyfish. If you want to swim with the big stuff, then we recommend you head towards Stingray World in Moorea Lagoon. While the northern part of this lagoon is relatively shallow, its underwater scenario is jam-packed as you will swim with blacktip reef sharks and Pacific stingrays. In the northwestern end of the lagoon is a tranquil snorkel spot called Motu Faraone and Motu Tiahura. These 2 islets are separated by a narrow channel where you can go snorkeling along with common stingrays and a full school of butterflyfish. Aside from being popular with water bungalows and aqua-centric luxury hotels, Bora Bora is a haven for snorkeling and is considered the prime spot in Tahiti. There’s a famous joke that if the hotel staff are busy taking care for you, so does the fishes of Bora Bora. Bora Bora Lagoon is a place not to miss. Aside from the dazzling colors brought by the vibrant reef system, these colors while underwater are further enhanced by the wide variety of colorful reef fish ranging from parrotfish, wrasses, damselfish, sergeant major, angelfish, and butterflyfish to name a few. While the mentioned reef fish are relatively small in size, wait for the appearance of the big boys as blacktip reef sharks and stingrays are intermixed with this jam-packed underwater action. Take note that Bora Bora Lagoon is suited for all levels, which means this is good news for newbie snorkelers. A similar spot could be found within the lagoon and is being maintained by a Private Island Resort. The underwater action here is calmer, but in some instances, big stuff visits this part of the lagoon where some have seen manta rays. For snorkelers with advanced experience and wishes to see more of the big stuff at greater depths, just tell your guide you want to explore the Royal Blue and be ready for a deepwater action with the big boys where some of the sharks can reach over 1.2 meters (4 feet) in length - reminder to bring your hd underwater camera​​​​ with you! If there are things notable in Tahaa, this are vanilla, pearls, and snorkeling. Located on the leeward side of Society Archipelago, Tahaa is just a small island with only 5,000 residents, yet, surrounded with beautiful spots for snorkeling. Of all the spots, the Coral Garden is the most popular snorkeling site in Tahaa. Situated at the back of a luxury resort, your snorkeling adventures in the Coral Garden will start by swimming along two islets locally termed as motus. Once you reach the middle of the channel, you will then realize that the water current starts to peak. After a few moments, you will perform drift snorkeling while riding along moderate current. As shared by many snorkelers who have been to the Coral Garden of Tahaa, you really don’t need to use your fins to move forward. Allow the movement of the water to take you to a tour of the reef where you can see butterflyfish, wrasse, and parrotfish hovering effortlessly over the reef. Despite being small, the lagoon in Raiatea has a flourishing reef that houses hundreds of tropical fish. Located on the edge of the Teavapiti Pass is a public spot called Motu Ofetaro which is considered a hotbed for snorkeling in Raiatea. You will start your snorkeling adventures in Motu Ofetaro by entering the beach just fronting the artificially installed pontoon. For you to see the best preserved reefs, you should head your swimming direction towards the southern edge of the island. While depth averages only at 1.5 meters (5 feet), it will slightly go deeper as you follow a reef slope towards the island’s edge. You don’t need to continuously swim as there are establish stopovers courtesy from the coral outcrops. The first outcrop will appear after swimming 30 meters (100 feet) away from the shore. This coral mound is filled with tropical fish where you can see damselfish, wrasse, butterflyfish, lionfish, moorish idols, bannerfish, and clownfish taking refuge on the tentacles of the sea anemone. You can also focus your sight to the seafloor where you can see a good population of giant clams. Located east of Society archipelago, Tuamotu is another archipelago in Tahiti consisting of 80 islands and atolls, all of which are considered as low lying islands. Your accommodation in Tuamotu is comparable to being set-up in a high sandbar where the Tahitian waters are always within your reach. Perhaps the most popular snorkeling spot in Rangiroa is the Blue Lagoon. Described as a “Lagoon within a Lagoon,” this world-renowned snorkeling sites has two spots. Typically on your snorkeling tour, you will start with the shallow lagoon that borders the south portion of the principal islet. The depth is very shallow at .05 to 1 meter (1.6 to 3 feet). But despite being shallow, it does not mean that you will see nothing as this shallow reef is home to juvenile blacktip reef sharks. But if you want to see their mature counterparts, proceed to the outer areas of the lagoon where there is a popular buoy marker set at 4 to 6 meters (13 to 20 feet) deep that is completely surrounded with mature blacktip sharks and lemon sharks. Taking a 5-minute boat ride from Rangiroa’s main village will lead you to another snorkeling spot where both newbie and experienced snorkelers will enjoy. For newbies, The Aquarium is the perfect spot for you where the water is calm, no current and filled with tropical fish. For the experienced snorkeler, we suggest you go drift snorkeling in Tiputa Pass which is the nearby reef from the aquarium. Here you can swim and ride along moderate current while hovering over pristine reefs. While this oval-shaped atoll that measures 16 miles (27 kilometers) in length, most of the snorkeling spots are located in the southwest end corner of the atoll. Situated at the side of the lagoon is a jam-packed site called The Circus. Newbies will really appreciate the sheltered characteristics of this site, especially that its peacefulness has not compromised marine biodiversity where many have seen, played and interacted with giant manta rays. Newbies will also love the West Point where the vast habitat and colorfulness of pink corals is further enhanced with the crystal clear waters. For experienced snorkelers, we suggest you go drift snorkeling at Tairapa Pass where you can ride along moderate current while hovering over a reef with numerous cracks and crevices filled with the passing of eagle rays. At the edge of the Pass is a ledge called The Drop Off where sharks dominate this part of Tahiti, like blacktip sharks, whitetip sharks, nurse sharks, and grey reef sharks. If you happen to be here in July, then expect to see a massive population of Marble Groupers where they come here and congregate this time of the year to mate. Located southeast of Society archipelago is another snorkeling spot in Tahiti where it is known for its shallow fringing reefs. While there are many anchorages in Gambier islands, the reef near the Rikitea anchorage is a good spot for snorkeling. Aside from the beautiful coral garden, what will catch your attention in this shallow fringing reef is the relatively large size of the fish. Yes, compared to other snorkeling sites in Tahiti, the tropical fish in Gambier islands are relatively bigger and more substantial. This is due to the French Nuclear Test conducted back then in this part of the South Pacific where the fish are contaminated with ciguatera. In effect, the fishes were untouched, never harvested or fished out as locales are afraid to eat them. Well, not really a good thing for fishermen, but on the other side, it’s good news for snorkelers. Located 932 miles (1,500 kilometers) northeast of Society Archipelago is a group 15 islands known as the Marquesas. Its relative distance has preserved much of the Tahitian culture and tradition, and so does its natural resources especially the marine environment. Among the 15 islands, Nuku Hiva is perhaps the best place to go snorkeling. Just a few meters swim from the shore, you will already see some tropical fish. But if you want to see some big stuff, go to the outer edges of the bay where there is a reef filled with big fish like jacks, eagle rays, tunas passing by and sharks. Once in a while, marine mammal interaction can be done in Nuku Hiva where many have seen dolphins and small-sized cetaceans like the melon-headed whales. Aside from the big stuff, there is one thing that both divers and snorkelers are searching here in Nuku Hiva and the rest of the Marquesas islands - seashells. Not the dead ones, with only the shells that many have brought back home as souvenirs. That’s not the case here in Marquesas. They’re searching for wild and live specimens. But it will not take you long to see one as the habitat here supports a good and healthy population of marine gastropods. You could easily find shells like the cone shell, Neocancilla shell, Nassa Mud Snails, Cowries and Spider Conch. I do not know if you have observed but while in Tahiti, you will hear lots of tourist talking about Austral islands. While there are great snorkeling spots scattered in Austral islands, there is one spot that both scuba divers and snorkelers converge just to see one species - the Humpback Whales. Located 300 miles (480 kilometers) from Society Archipelago, Rurutu is a sanctuary for whales and has become one of the ultimate Tahitian attractions, despite its relative distance. Aside from having a hotel reservation, you also need to book and reserve for a guided boat tour going to the whale sanctuary. We highly advise you to book beforehand as seats are selling like hotcakes especially on the peak season. While some tourists visit the Austral Islands whole year round, July to October is considered to be the height of tourist arrival as it coincides with the arrival of the humpback whales. Going to an offshore site while at the boat, you will already see the breaching (or should we say “jumping or leaping”) of the humpback whales at a distance. Once your boat is positioned in a spot where the whales are on a tranquil state, you will then enter the deep blue water. Despite being at a distance, you will clearly see the humpback whales underwater or near the surface as the waters are often very clear. In most instances, while you are in the water, you will only see one or two humpback whales. But there are some special occasion, and if it is your lucky day, you will see that some humpback whales are carrying along with them their young. Yes, you read it right. A mother and her calf swimming alongside each other. And we tell you, this is a once in a lifetime opportunity to see this wildlife partnership. Finally, if this is the case and the news broke for a mother and calf sighting, then expect that you will be joined by other wildlife enthusiasts as scuba divers and snorkelers alike will swarm this deepwater part of Austral Islands bringing with them their sophisticated 4k pro camera equipment. We hope that this virtual reading tour is sufficient enough to help you in planning your snorkeling vacation in Tahiti. If you have the opportunity just go because it is amazing! And experience it first hand, the Tahitian style of snorkeling. Please also check out our recently updated guides to snorkeling in Cozumel and snorkeling in British Virgin Islands. Enjoy and “Ia maita’i te terera’a” which means have a safe trip.